The kind people at PetShopBowl have given me a great prize to give away to one of my lucky readers. Last month I did a review of some of the products and services PetShopBowl offer and was impressed by the quality of the products provided and the friendly service offered. 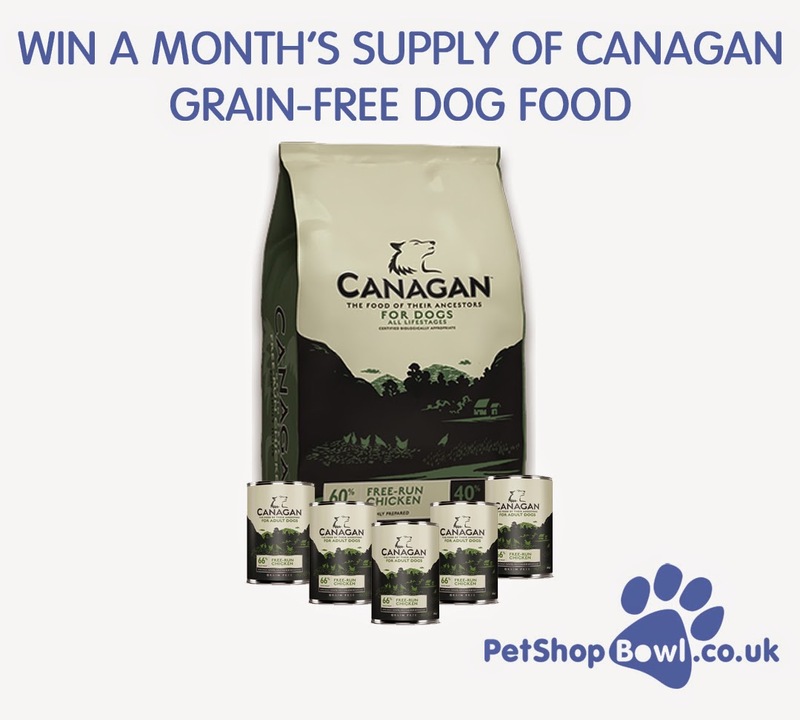 One of my lucky readers will win a month's supply of Canagan Grain-Free Premium dog food worth over £80. This prize consists of 12 cans of Canagan Grain-Free chicken and a 12kg bag of Canagan Free-Run Chicken Dry dog food. The food contains 60% fresh chicken , 40% vegetables and botanicals and is very nutritional. (Follow the links to see more information about the food). To enter the competition simply complete as many of the steps as you wish on the Rafflecopter form below. (Note we require an email address). A winner will be chosen at random at the end of the competition. The competition is open to residents of the UK only. Good Luck. Terms and Conditions : Entries close at midnight on the closing date. Winners will be selected at random within the Rafflecopter. The winner will be contacted by email after the closing date and if I haven't heard from you within a week, I'll have to pick another winner. Prizes will be sent out by the companies or their PR directly to winners. Webkin's World cannot be held responsible for any prizes that go missing! Time to post my wins from last week but before I do I wanted to say that last week I received an email from a blog reader who said it was wrong that I entered the competition to win the Miranda Lambert CD when it could have gone to a real fan. I would like to say that I understand where they are coming from but I tend to enter most CD and DVD competitions I see because I know that if I don't like it someone in my family will. We have a wide range of music tastes and whilst I wouldn't have picked up Miranda's CD (because I hadn't even heard of her), I am now glad that thanks to entering the competition and winning that I have discovered her music. There are people who openly enter competitions to sell things and whilst I have in the past had to sell a few of my wins due to being unemployed and really skint I never enter any competition with the purpose of selling the prize on. For example I never enter for tickets to events that I am not interested in or know I couldn't attend. I just wanted to clarify where I stood with regards to my comping hobby. 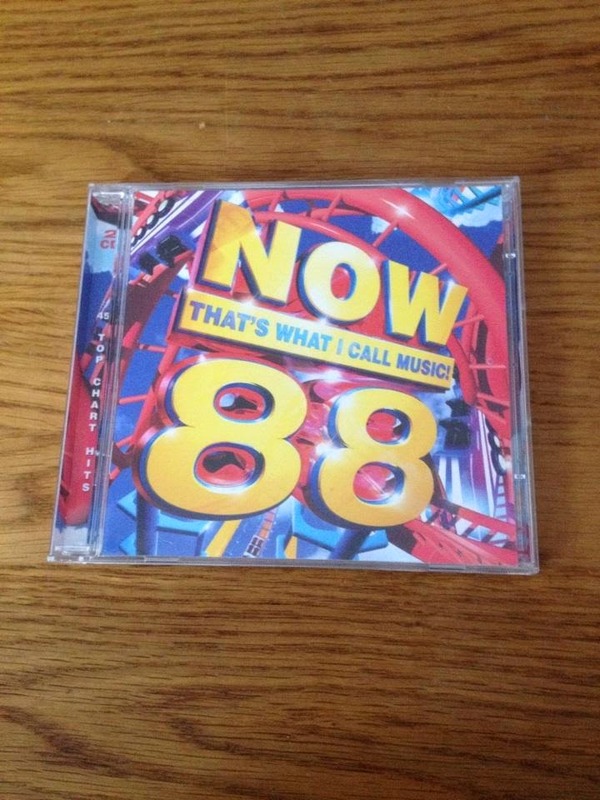 Competition prize win number 1145: I won a copy of Now That's What I Call Music 88. I don't know where I won it from but it's fab and has a great range of music. I particularly like Rixton's song "Me and My Broken Heart" and of course "Let It Go" by Idina Menzel. I watched Frozen with my niece Lilly and I love it. It's such a good film. 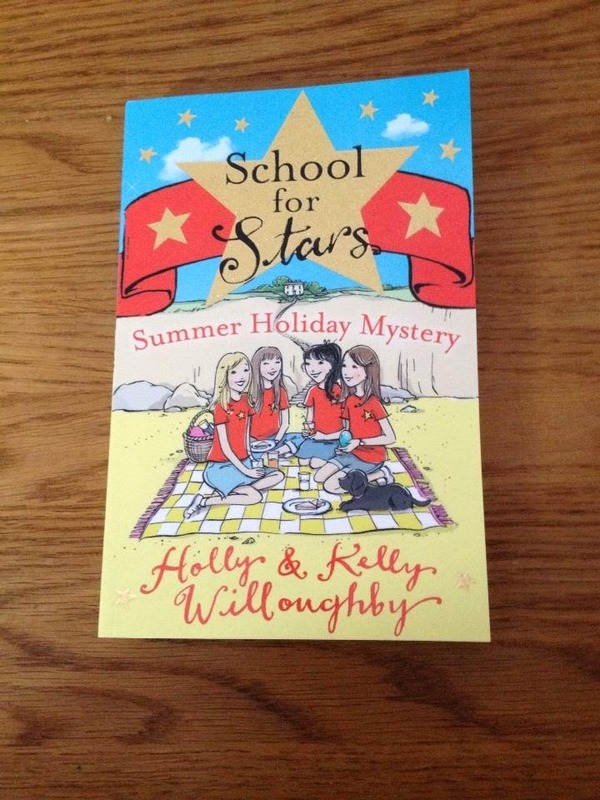 Competition win prize number 1146: School For Stars - Summer Holiday Mystery book that I won from Holly Willoughby on twitter. My niece is going to love this book which I will give to her as part of her birthday present next month. 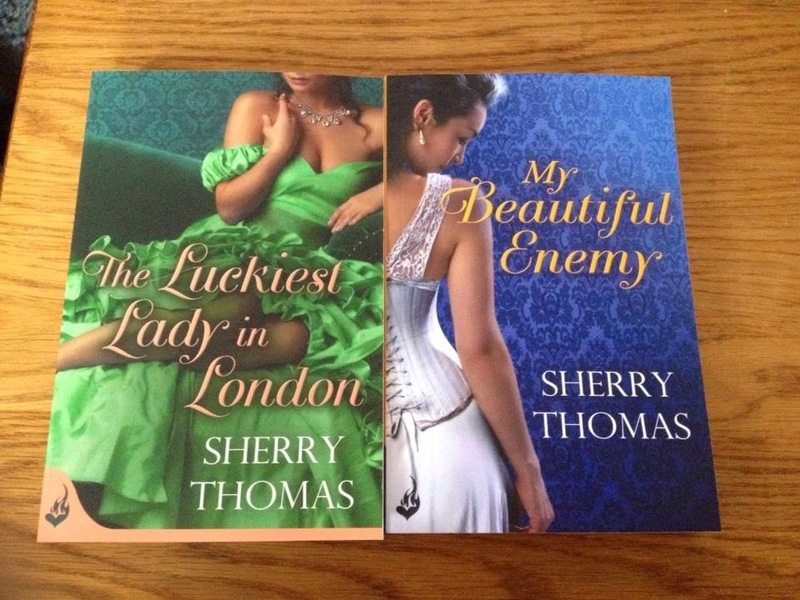 Competition win prize number 1147: I won two books by Sherry Thomas from Headline Eternal on twitter. These books look fab and I have put them on the top of my pile of books to read after the book I have finished. I love reading so much. It's one of my favourite ways to relax. 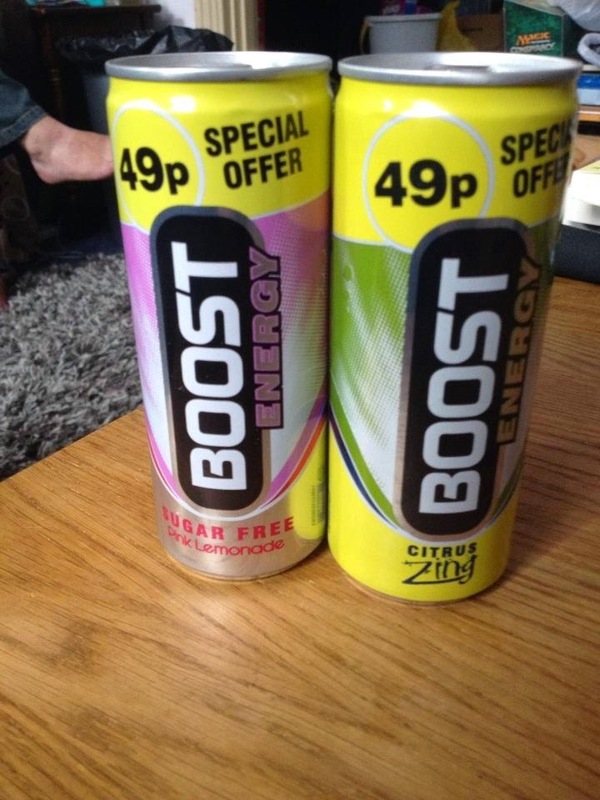 Competition win prize number 1148: I won 2 cans of Boost from Boost instant win competition. Neil will have these as I won two bottles before and he liked them. 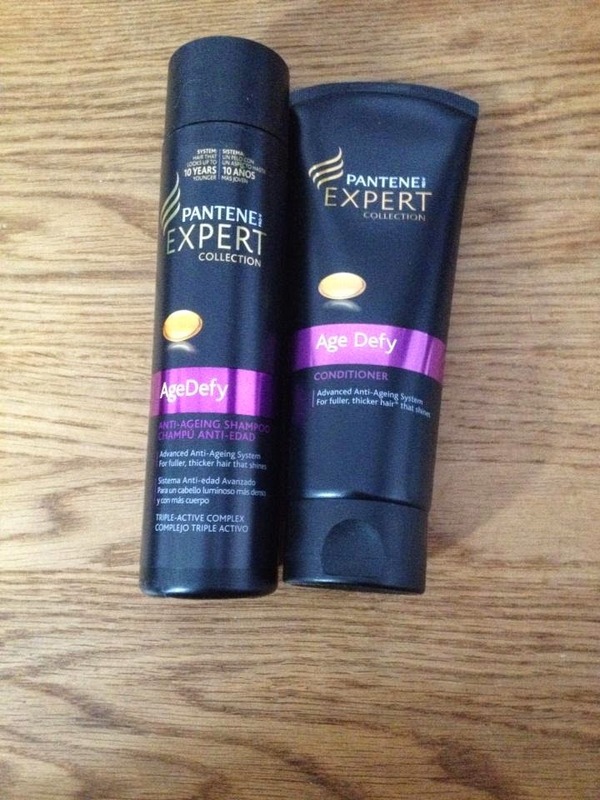 Competition win prize number 1149: And finally my Age Defy Shampoo and conditioner arrived from SuperSavvyMe. I was surprised they turned up because when they emailed me they quoted my old address even though on the website it had my address I am at now. So they must have checked the system to send it here. I am looking forward to using them. And that's all for this week. 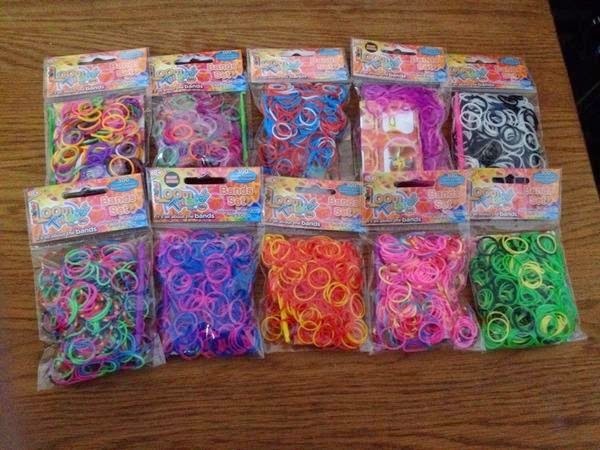 Don't forget I have a great competition running to win 10 packs of Loom bands (3000 bands). Join in with the competition here. I also have a new competition coming up this week so look out for that. Why not leave me a comment with what you have won in the last week. Last month I reviewed the service and some of the products offered by the PetShopBowl website. This bank holiday weekend (Saturday 23rd August until Monday 25th August) they have a number of things on offer including: Buy 1 get 2 free on Pro Plan Duo Delice, 99p Dentastix and lots more. 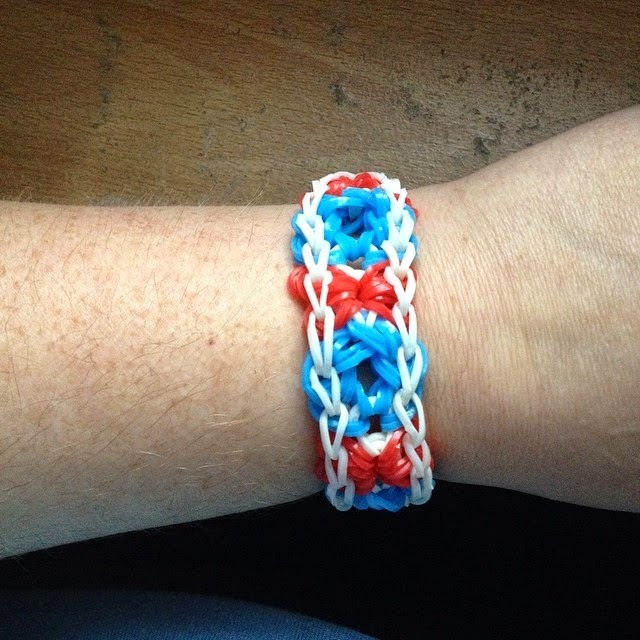 The big craze with the kids this summer is making loom band bracelets. My niece Lilly is really into making bracelets and so I got into making some too and now I am hooked. For people who don't know what loom bands are they are little rubber bands that you can buy in all sorts of different colours including glow in the dark bands and scented bands but I prefer the plain bold colours personally. You can also get bobbly bands and fabric bands too. I thought I would show off some of my bracelets that I have made. 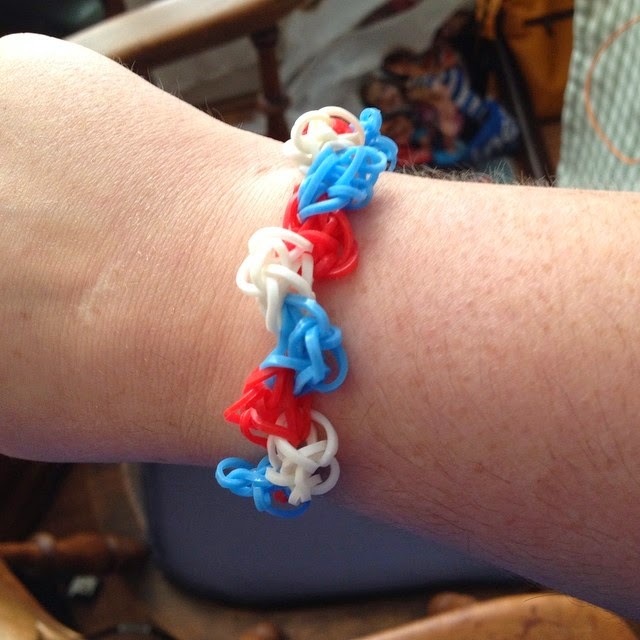 I mostly find videos of how to make the different designs on YouTube and on the Rainbow Loom Instructions site. 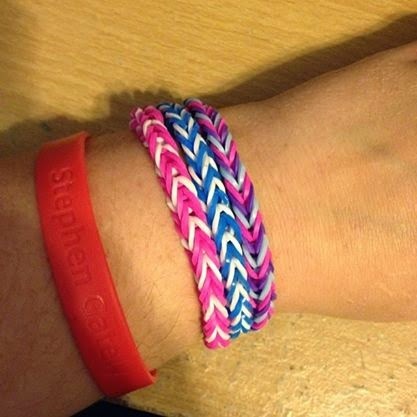 So here are the most basic loom band bracelets I have made. They are called "The Fishtail" design. These are very simple to make. Click here for a video with instructions on how to make these bracelet. 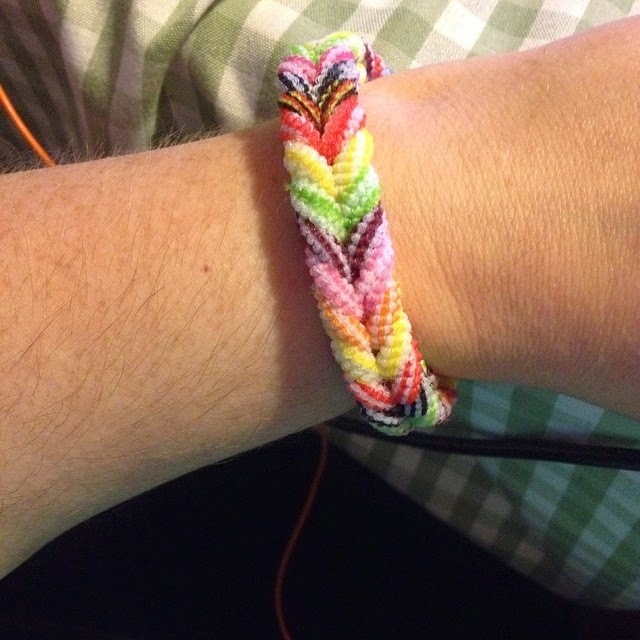 I also used some fabric bands which I bought from The Entertainer to make a chunky fishtail loom band. I also got some alphabet beads from a local craft shop to make some name bracelets. I decided, because of the colours of the beads, it was best to use black bands for these. These bracelets are a variation of the fishtail design. 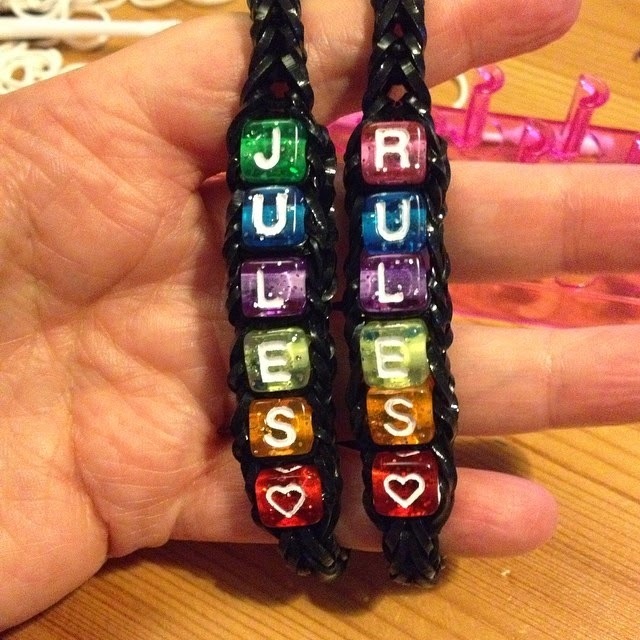 I decided to make the following bands for when I go to the Jules Hudson Fans meet up next month. 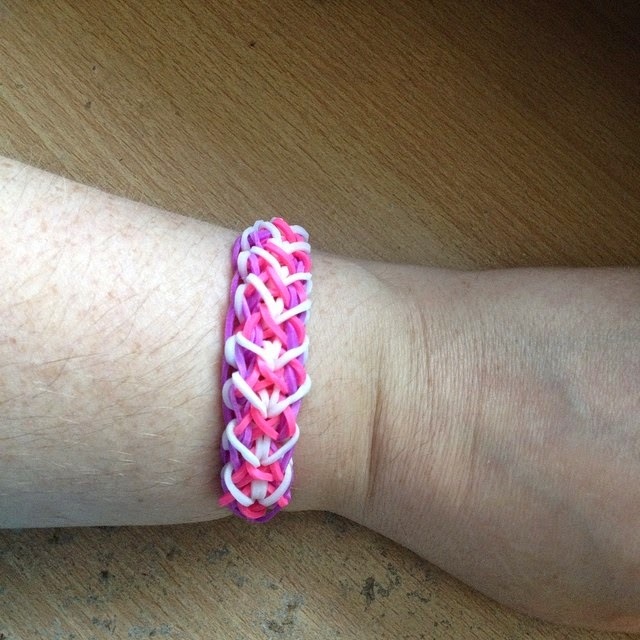 I then progressed on to the more difficult bracelet designs which you do need a loom to make. Some even use the whole loom! Once you get used to the way you use the loom it becomes easier to understand what is going on and there are some great videos to help make these bracelets. I also made the following two bracelets recently. I really love to try out different designs and see how they work out. I am hoping in the future to get more looms so that I can make bigger bands. These designs are the Zig Zag bracelet (video instructions here) and the Amore bracelet (video instructions here). I really enjoy making loom band bracelets. I find it really enjoyable and relaxing. It's a nice little hobby and it isn't too expensive. 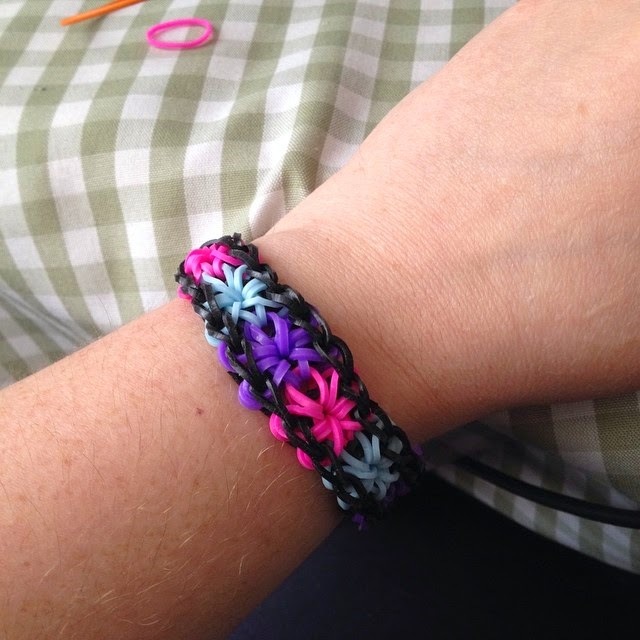 I thought it would be fun to give away some loom bands so one of my lucky readers can have a go at making some bracelets too. So I am giving away 10 packs of different coloured loom bands. 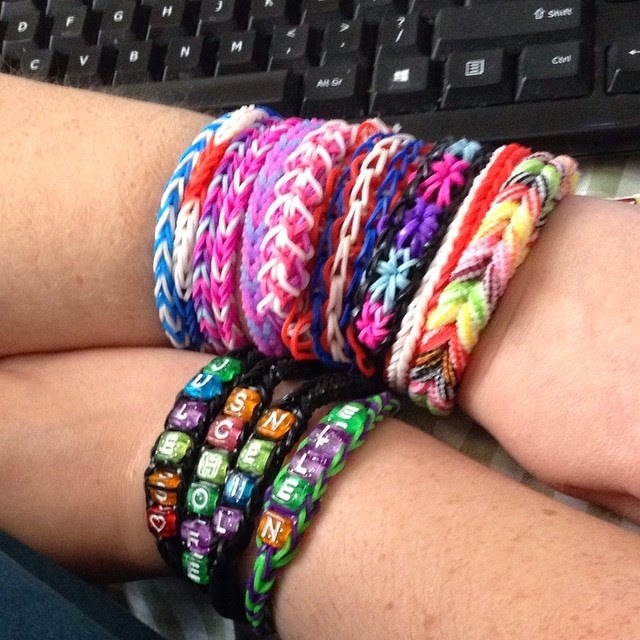 That is a whopping 3000 bands so you can make some of these pretty bracelets. Competition prize win number 1142: I won a lovely 100ml bottle of Penhaligon's Malabah perfume. It smell's amazing. I won this prize from the Penhaligon's facebook page where they run regular competitions. Such a lovely prize. 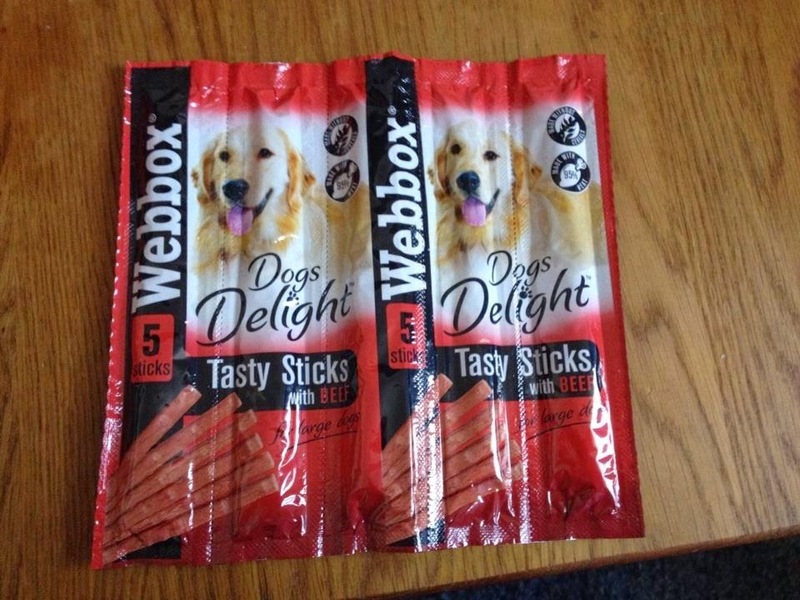 Competition prize win number 1143: A pack of Dogs Delight sticks treats from Webbox Pet Food on twitter. Shortie is looking forward to trying these, though might have to give him half a stick as they are for large dog. Competition prize win number 1144: I received a surprise win from Female First of a Miranda Lambert - Platinum CD. I am listening to it as I write this. Miranda is a country singer and she is really good. The music is really catchy. I always like winning albums as I probably wouldn't have picked this up in the shop but now I have heard it I really like it. And that's my prizes from the last three wins. 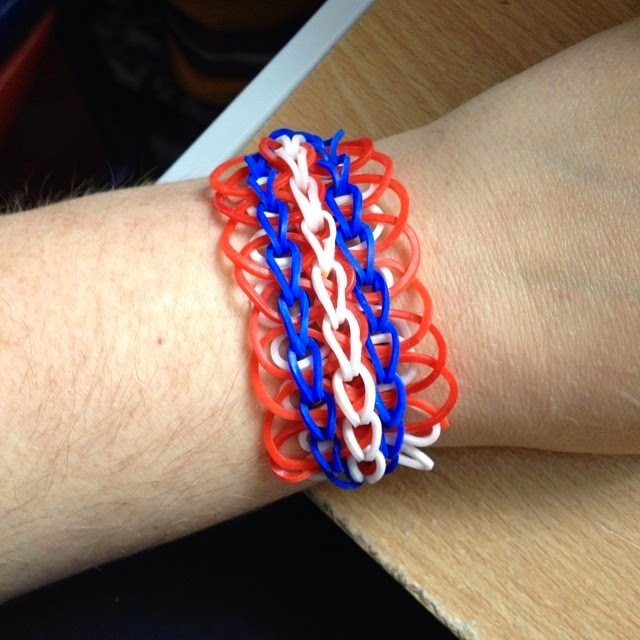 Look out for a new loom bands competition coming up on my blog later in the week. Decorative Letter E from EJ Designs. With the sad passing of Robin Williams this week it made me think about the amount of famous people who die before their time. You would think famous people would be happy as they have money, big houses and have so many people who support them and their work but it's not as simple as that. Money doesn't bring happiness. Fame doesn't bring happiness. Fame and fortune doesn't stop depression. In this day and age so many people aspire to be famous, just look at the amount of people who apply for shows such as Big Brother, Britain's Got Talent and The X Factor. It's cool to be famous. So why do so many celebrities turn to drugs and alcohol? do they think they are invincible? or is it to block out thoughts and feelings? As I have written before I have suffered from depression and anxiety since I was young but never have I felt the need or urge to turn to unprescribed drugs or huge amounts of alcohol. The thought of taking a drug that I don't know what it does to my body would scare me so much. Lots of celebrities have a lot to live for; money, beautiful houses, children. Take Peaches Geldof she had what most people would think is an ideal life so why did she overdose on drugs? Her mum died when she was young. You would think that she would want to protect her children from having to go through something like that. So what went wrong? Maybe I am coming across as a little unsympathetic which I don't mean to be. The fact is these celebrities are dying young because they are unhappy and have depression/mental health issues. I just wish I knew why they felt they couldn't seek help. In this day and age no one should feel the need to suffer alone with mental health problems. It really is time we spoke out about mental health. I have had issues since I was young and addressed them when I was around 18 or 20 and with the help I have been able to overcome some of the problems. I have off days still but for me it has helped to speak about my mental health problems. It's hard to talk because you think no one will understand but once you get talking to people you realise how many people have been through similar problems. I wrote my depression post back in May which was hard to write but I did it in the hope that if someone else was suffering that they would know they are not alone and that there is help out there. Never feel alone. I recently watched the autopsy programs on Channel 5 and in most of the episodes I was so surprised by the amount of unprescribed drugs celebrities take for example Michael Jackson was on a saline drip with allsorts of medication going into his body. It was really shocking to watch. He had so much talent and again died from pumping too many drugs into his body. With the way we are so engrossed in celebrities right now it's time that some of these celebrities who have suffered from mental health issues to come forward and share their stories. They will help people far more than my blog because people take so much notice of celebrities. I really admire celebrities such as Stephen Fry who spoke out a few years ago about his depression. When he spoke out no one would have guessed he suffered and it shocked people but depression affects so many people. No one can say they will never suffer at some point in their life. I really admire Stephen for being so brave. I wish more celebrities were as brave as him to speak out and share their experiences. What I think I am trying to say in this post is that fame and money can't stop someone from suffering from depression. Depression isn't just about feeling down and crying it's feeling mentally tortured in every waking hour. If you broke your leg you would see the break but with depression you can't see inside someones head. It can happen to anyone at any point in their life and I don't think you really fully understand it unless you have been through it but if you know someone suffering please try and help them and try to understand that it's not their fault they feel/say or do the things they do. If you are suffering please seek help and most importantly know that you are not alone, the doctors are there to help and they have heard it all before no matter how much you feel like you are the only one suffering. On 11th August the world lost a comic genius who brought a lot of laughter and joy into the lives of many through his various roles in film and on TV. We may never know what he was going through, and what made him chose to take his own life. All we can do is remember the smiles and joy he brought us; the way he lived rather than the way he died. My sympathies go out to his family. Rest in peace Robin Williams. 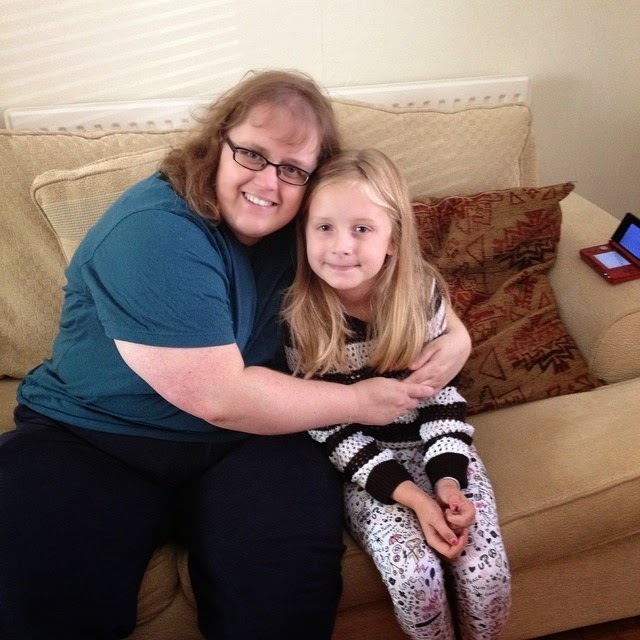 This week I have been down in Midsomer Norton in Somerset visiting my Mum, my sister Anna and my niece Lilly. Also seen my dad too. It's been such a fun week. 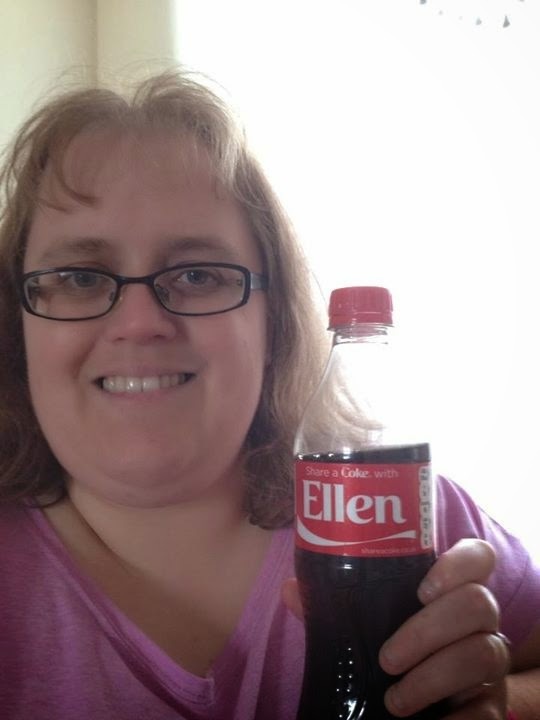 On the way down from Kidderminster to Midsomer Norton we stopped off in Longwell Green in Bristol and my sister found a coke bottle with my name on. I was chuffed as I had looked in Kidderminster and couldn't find any. The next day I received an email from ASOS to say I have won a personalised diet coke bottle with crystals on, a personalised t-shirt and a necklace. I was so chuffed and asked for Webkin to be put on them only to be told I couldn't have the name because Diet Coke wouldn't let me. I presume it's because of the toys Webkinz or something like that which is a shame considering that Webkin has been my nickname for way over 20 years so I am having Ellen put on them. Still a lovely prize to win. I spent quite a lot of time at Mum's house with Lilly as Anna was working a bit. We had great fun playing on the computer, Nintendo 3DS (mostly Tomodachi Life) and making loom bands. I am going to do a bigger post about loom bands and a little competition when I get back to Kidderminster so look out for that. My mum has a membership to use a swimming pool at a local hotel here in Midsomer Norton so we went swimming one of the days. I packed the wrong swimming costume so it was a bit tight but we still had a great time. Lilly's swimming has improved so much. When we started going there a year ago she couldn't swim at all. Now she can swim to the deep end and jump in. 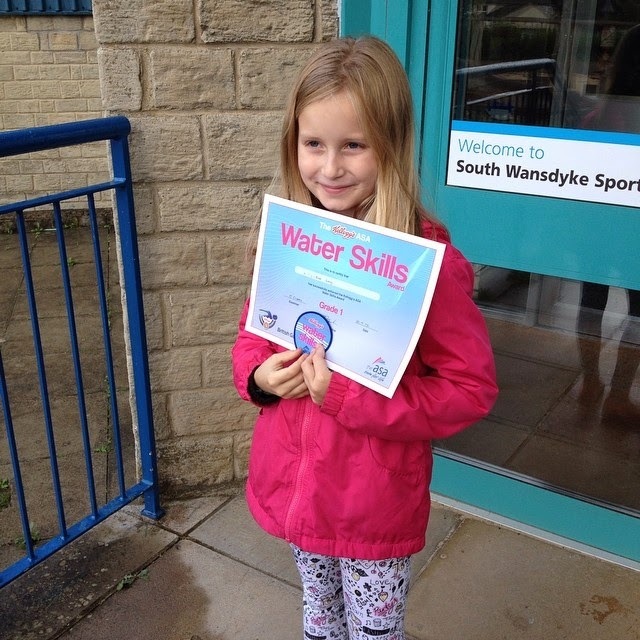 She got her first swimming badge from school at the end of term so we went and picked it up from the local swimming pool. I am so proud of her. Back at Mum's house I got to meet her new cat Candy. She is a beautiful cat. 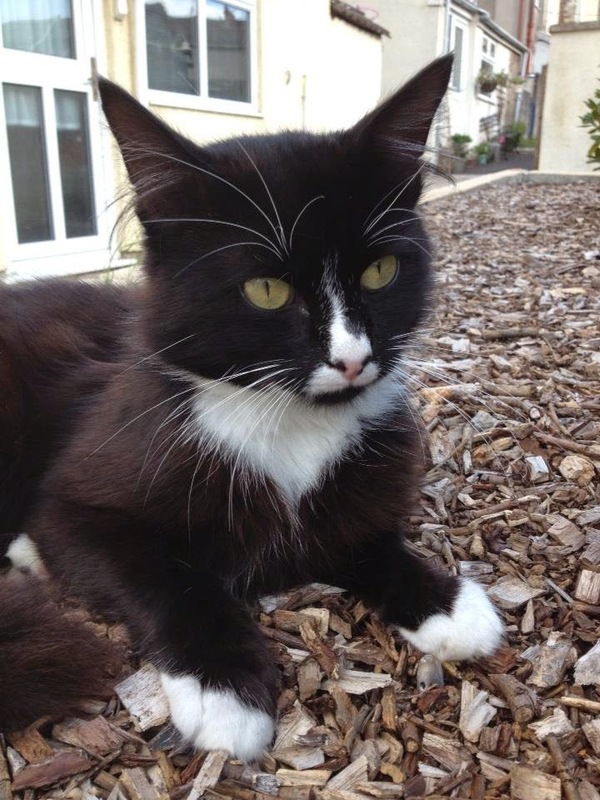 She belonged to a couple up the road but they are not around much because they both work full time so she stopped going there and started following mum around her garden. She got very thin so Mum started to feed her and she started to come into the house. Mum's neighbour asked the couple up the road if Mum could keep her as she seems to have moved herself in and they said yes as long as she is happy which she is. She is such a sweet cat and loves living here. Candy relaxing in the garden. 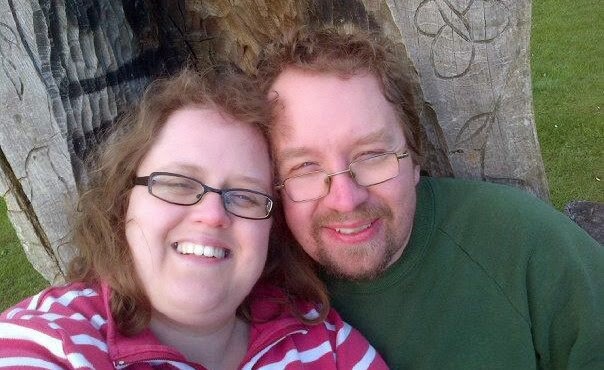 We also had a chance to go and do a bit of geocaching. For people who don't know geocaching is a bit like a treasure hunt where you search for the cache with a GPS and clues. 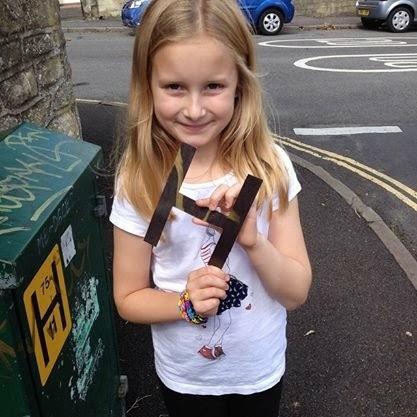 For more information see my post from last time I was down here (Midsomer Norton - Geocaching). The first one we searched for was here in Midsomer Norton. The clue was "Can't see the wood for the trees" we looked around a bit on the floor near these small trees and couldn't find anything. It started to rain so we went under the trees. I happened to look up and I saw this piece of wood just hanging from a small tree that didn't look quite right. Lilly went up to have a look and it was the cache. 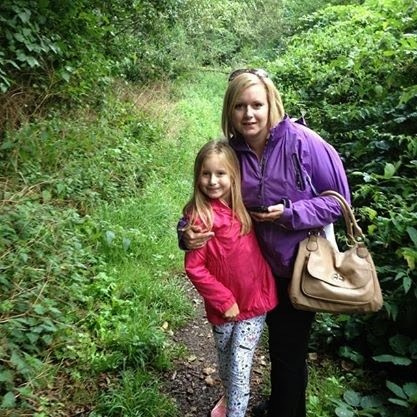 Lilly absolutely loves geocaching, it's so fun for kids and gets them outdoors. The second geocache Lilly and I found together as Anna was at work. It took us awhile. It was on a trip into Oldfield Park, Bath where I used to live before I moved to Kidderminster. We went and looked around the charity shops in Moorland Road but had a little time to spare whilst Mum was at the doctors so we went to look for the cache. The cache was called Oldfield Park Helipad and the clue was H. I lived in Oldfield Park for about 8 or so years and wasn't aware of a helipad. The picture on the cache page was of a helipad so we really thought that was what we was looking for. We even asked a guy in a garden who lived at the location of the cache and he didn't have a clue about a helipad. Anyway we looked back at other people's comments about finding the cache on the geocaching app on my mobile phone. Then we spotted a letter H sign on a telephone cable box at the end of the street. Lilly looked around the back of the box and nothing was there. My phone rang and it was mum ringing to tell me that she had finished in the doctors. I turned around to see Lilly peeling the H off the box which I wasn't sure was supposed to happen but when she did we realised we had found it. Basically the helipad was a magnetic H that covered the H sign and everyone wrote on the back of it to say they found it. Such a clever and funny cache. 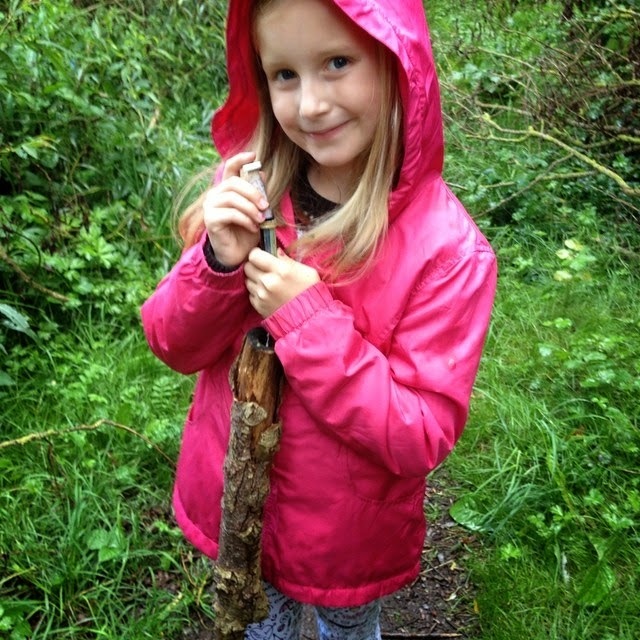 I was so pleased we found it and it added to our total of 42 caches. Lilly with the "H" pad cache. We had such a fun week. 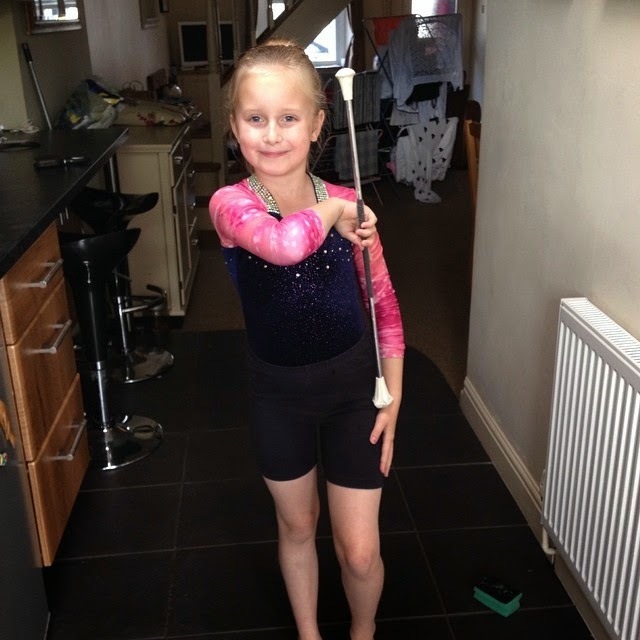 One of the highlights of the week was seeing a sneak preview of Lilly's carnival performance with the poms for her majorettes. She is so good at it and full of confidence. I am hoping I can get down for the Midsomer Norton carnival in November to see her with her troupe. I am so proud of her. She is starting to really grow up now. I can't believe she will be nine in September. We are all such a close family. I really miss everyone down here when I am back home but whilst I am down here I also miss Neil and the animals. I said goodbye to Lilly yesterday which was a bit emotional as she cried which I hate seeing but she was fine a little while after. Tomorrow evening I am going to my dad's so will be saying goodbye to Mum and then on Sunday I will be going back to Kidderminster to my boy and fur babies. I have had a fab break. I love my family so much and I know I will be back to see them all again soon. This week I am down in Midsomer Norton, Somerset visiting my family and it got me thinking about the word "home". I use the word quite often but I have at least three places that I call home depending on who I am talking to. Here are my homes not in any order of importance, all of them are just as much home as the other. I was born in Bath, Somerset and spent my first thirty three years of my life living in the beautiful city. We did move from one side of Bath to the other during my twenties but we still lived in Bath with the main city centre as our town. As a child I thought I would never leave Bath mostly because it was where all my main family lived, my mum, dad, sister and Nan. I am proud to be from Bath and it will always be home because of all the memories made there and knowing the areas and town so well. When I go to Bath I feel like I am home but because none of my family live there any more it's not somewhere I go to as often. However when people in Kidderminster ask me where I have come from because of my accent my answer will always be Bath. 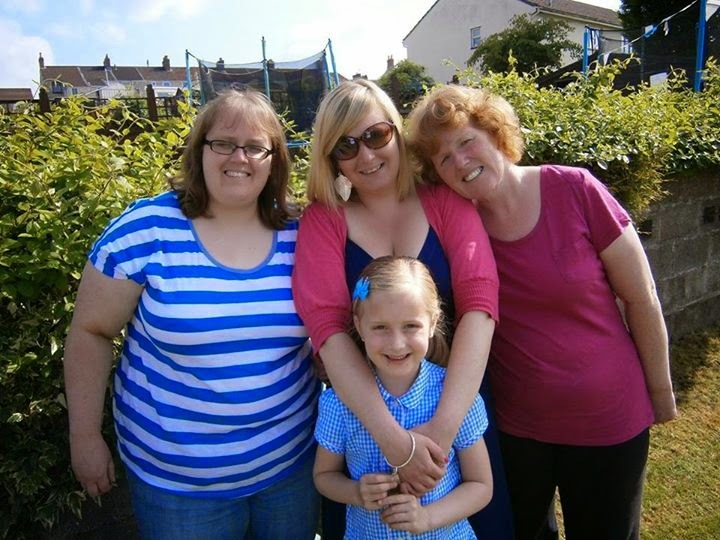 When I am in Kidderminster and I miss home it's more about missing my family rather than thinking of a certain place. I am very close to my family and in particular my mum. We chat to each other twice a day on the phone. She is like a best friend to me. I miss my dad, sister and niece too. 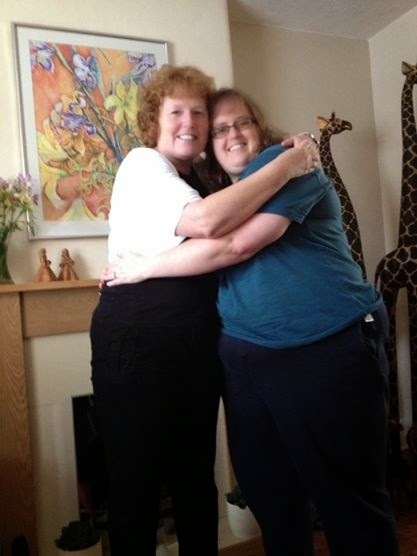 For me going home is returning to the nest, to my mum. Right now my mum, sister and niece live down the same road in Midsomer Norton with my dad living in Trowbridge (about 10 miles or so away). So when I am down here visiting I get to see everyone. It's great to be with them all again as I miss them a lot when I am up in Kidderminster but 70 miles or so isn't too far really when you think about it. It took me over a year to call Kidderminster, Worcestershire "home" but now I am really settled there and when I am here in Midsomer Norton I do miss Neil, Shortie, Tiggs and Harv. I keep in regular contact with Neil. It was hard moving from Bath to Kidderminster especially as I didn't know anyone but Neil but now I have made friends with a few people, mostly thanks to Shortie (when you have a dog you get to chat to so many other dog walking people), I feel more like at home. I know my way around the city centre but most of all it's where the love of my life Neil lives and I would go anywhere to be with him. To me home really is where the heart is. It's not really about the place as such but about the people you love and the memories you make through your life. Competition prize win number 1133: Part of my £250 of Joules kids clothes arrived at my sisters. I won this prize from Kiddy Charts. I gave both my sisters £125 each to spend on my nieces and nephew. The rest of the clothes are on the way when they are in stock. 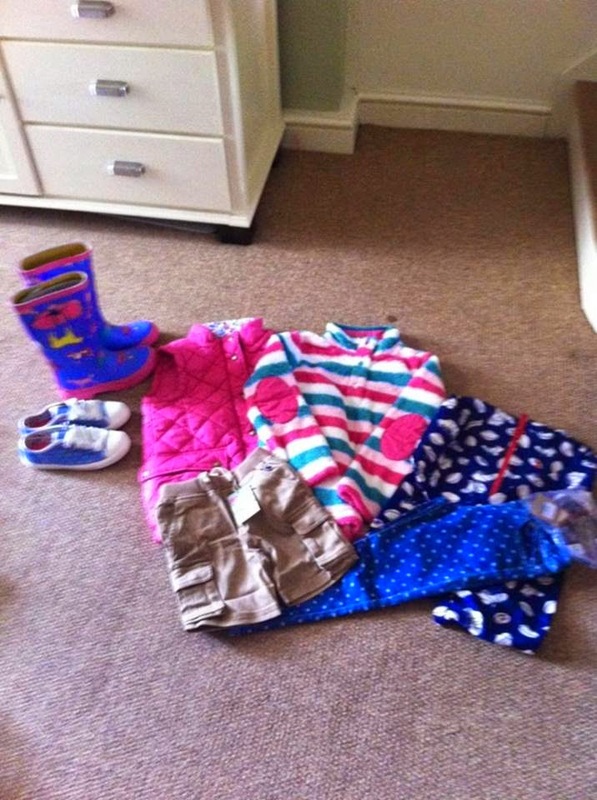 I love winning prizes that help out the family and I love Joules clothing. Competition prize win number 1134: I won an indulgence hamper from Lilla Loves blog. Unfortunately the company sponsoring the competition Viking didn't have the hamper on their page any more so I got to choose an item for £25 from their website. 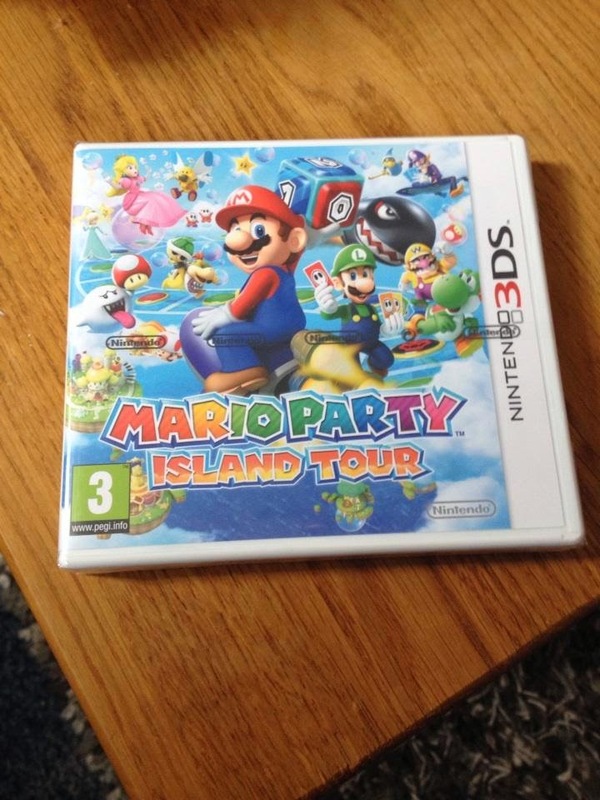 I decided to get Mario Party for the 3DS. My fiance, Neil and I love playing games and it's great because it has download play so you only need one copy of the game so we can both play together. 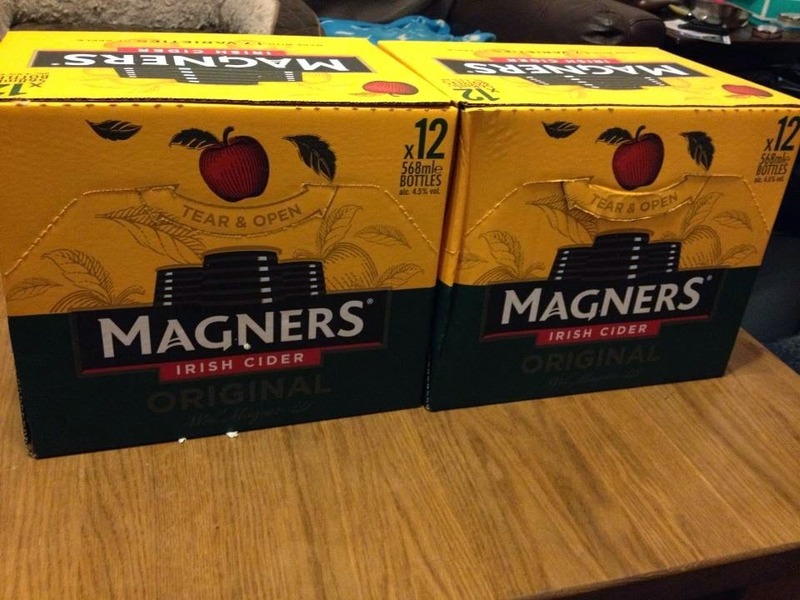 Competition prize win number 1135: I won a case of Magners cider in Magners blippar competition. Apparently because they took so long to send the prize out they sent two cases to everyone. Neil is well pleased with this prize especially because I was only expecting 8 bottles. My dad also won a case and he was happy with his too. 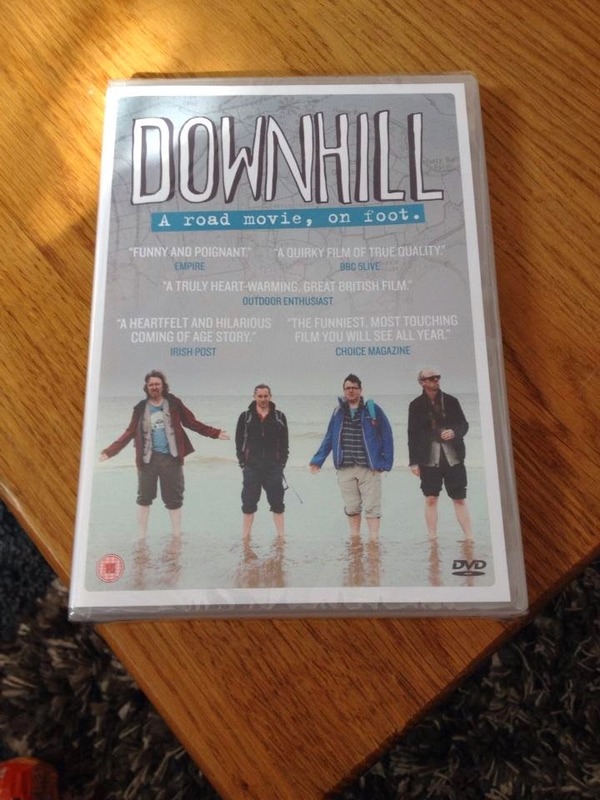 Competition prize win number 1136: I won a copy of Downhill on dvd from Gentlemansgoods.com. The film looks great and funny. 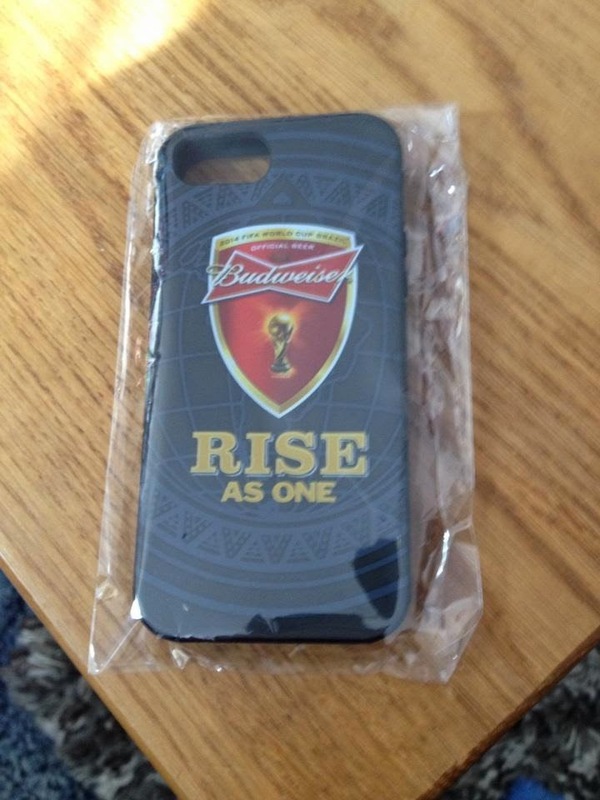 Competition prize win number 1137: A Budweiser smartphone case from Budweiser's Brazil World Cup mobile app. I believe it's for a iPhone 5. I have an iPhone 4S so it doesn't fit my phone so not sure what I am going to do with it yet. I am sure it will find a home. 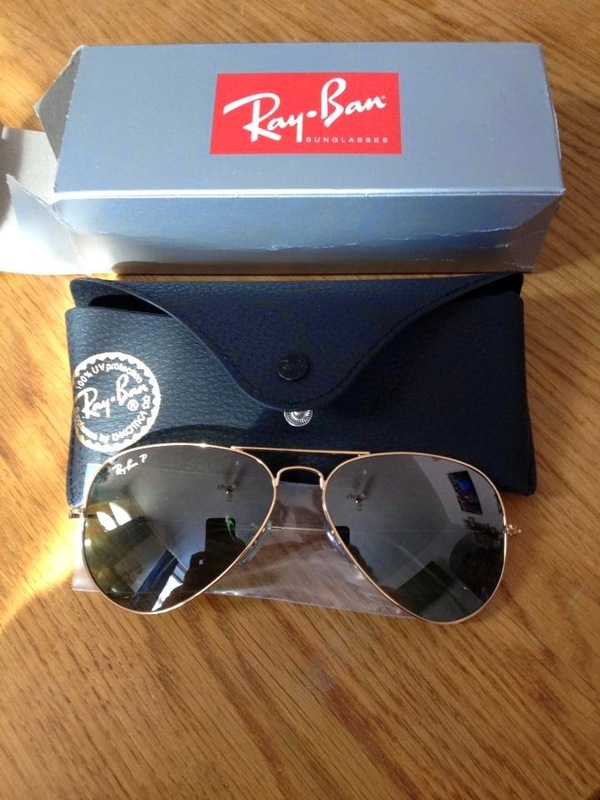 Competition prize win number 1138: I won a really cool pair of Ray-Ban sunglasses from J2O on Twitter. To enter you had to send a picture of your summer moment. I sent the picture of me with Jules Hudson and Shortie. I have seen a lot of people win these. They are awesome. 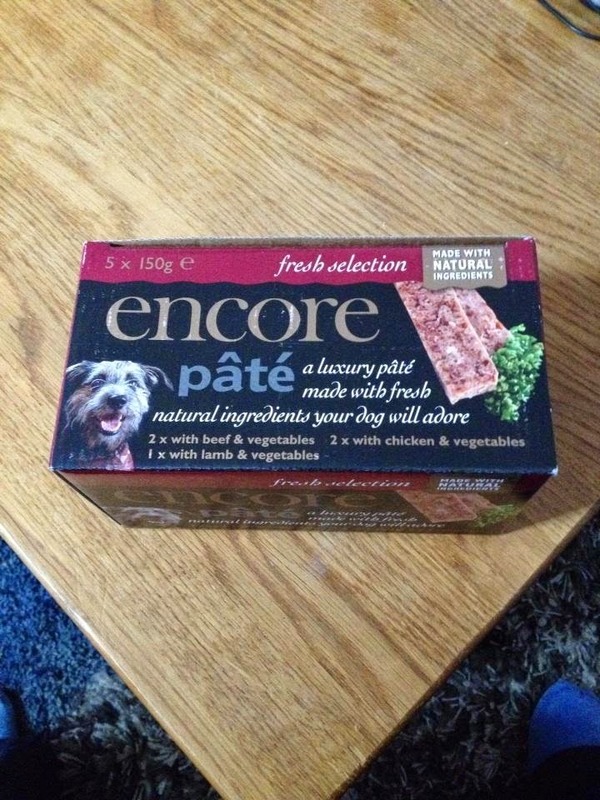 Competition prize win number 1139: I won some Encore Dog Pate from Encore on Facebook. I actually thought it would just be one pouch of dog food so was surprised to receive five trays in the box. I have already given some to Shortie and he loves it. 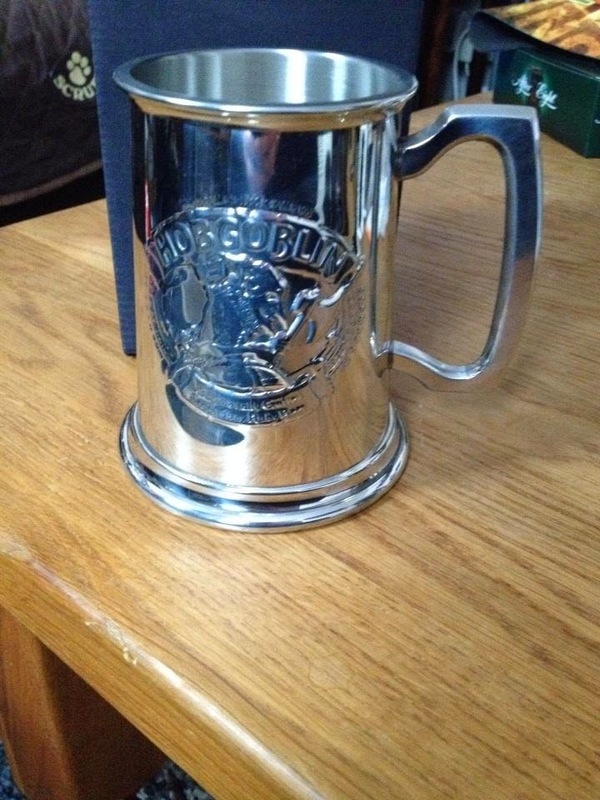 Competition prize win number 1140: A Hobgoblin tankard. I won this awhile back and was really pleased to receive it and Neil has claimed it. Competition prize win number 1141: And finally my last win of the week. 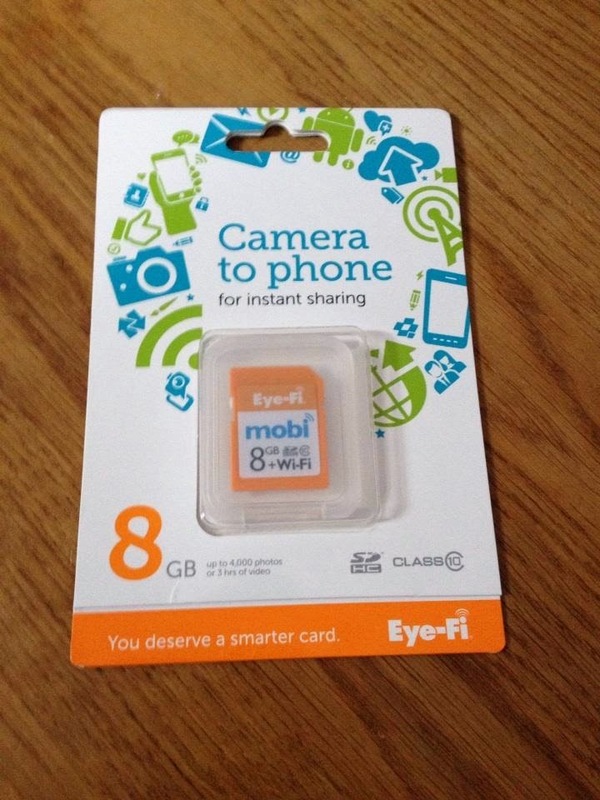 An Eye-Fi 8GB Memory Card from Mummy To The Max blog. This is a cool win which is a memory card for your camera but it also has Wi-Fi on so you can send your picture straight to the internet. Competition 2: Win a Mega Box of Awesome. Why not leave me a comment telling me what you won this week. Good luck for next week everyone! 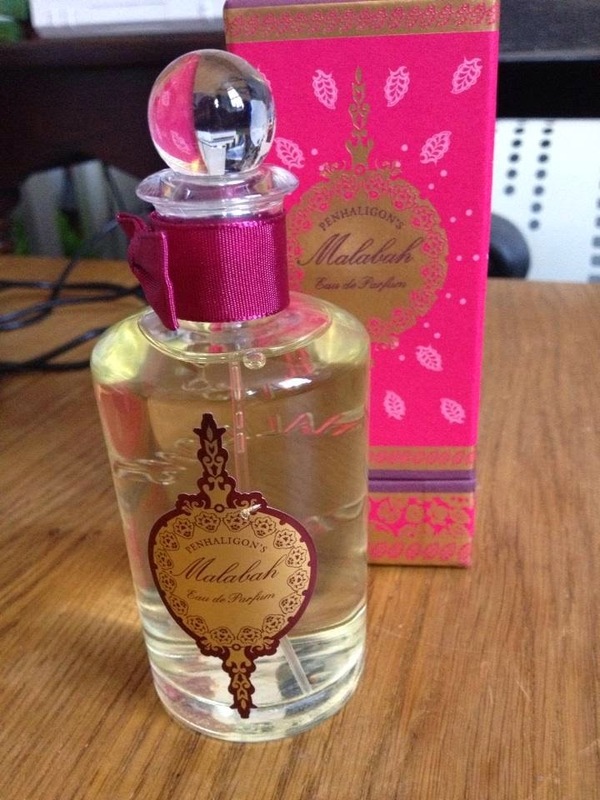 Malabah Perfume from Penhaligons Ltd.